Patna is a historically very old city. It was established as Pataliputra by Magadha Empire around 2500 years ago and served as the capital of six dynasties. It was once the political centre of India, for a long time. Great names in Indian history such as Chandragupta and Ashoka ruled from Pataliputra. With the fall of Gupta Empire and then , many centuries later, with the advent of Bakhtiyar Khilji's rule who destroyed many ancient monuments, Patna lost its importance as a centre of political and cultural activities. During British rule it was part of Bengal Presidency for a significant period, but when Bengal Presidency was divided it became the capital of Bihar Province. All the ancient heritage sites are difficult to find now and we were there to see modern Patna. We first left for Rajgir, around 100 km from Patna. Rajgir is popular pilgrimage destination in Bihar. Brahmakund, the sacred holy water springs, is located in Rajgir. Then our true fight with traffic began. In Bihar, the public transport was in a nascent stage at that time and not too many government buses run. Bus stand had more private buses which were a surprise. We boarded one such bus for Rajgir but then were stuck in traffic mess and were not able to move more than 2-3 km in an hour. We then abandoned our plans to go to Rajgir. In the evening, we went to Indira Gandhi Planetarium located in Indira Gandhi Science Complex. Wikipedia says it is one of the largest planetariums in Asia. We enjoyed the show inside planetarium on cosmos and stars. 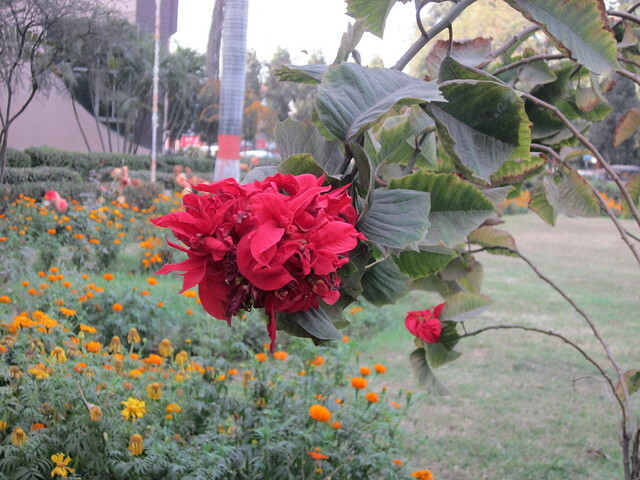 Also, one should not forget the beautiful lawns in planetarium campus and beautiful red flowers. We roamed there taking pictures while we waited for next show to start. 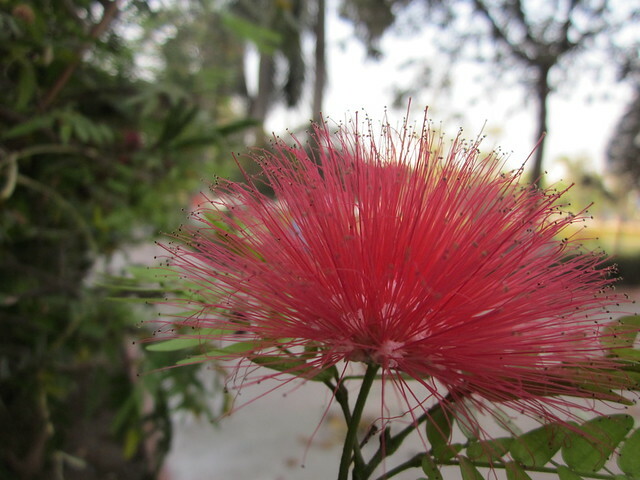 Flowers outside Indira Gandhi Planetarium in Patna. We then went to Takht Sri Patna Sahib, one of the five Takhts, seat of authority of Sikhs. Guru Gobind Singh was born here and later a public edifice was raised here and called 'Harmandir Ji.' This is one of the most sacred places for Sikhs. Takhat Sri Harmandir Ji, Patna Sahib finds mention in writings of many foreign scholars such as Charles Wilkins, the famous Orientalist who was the first to translate Bhagavad Gita to English. We went inside the Gurudwara and as always the shabad and kirtan inside the Gurudwara were enchanting. We saw there many articles of Guru Tegh Bahadur Ji and Guru Gobind Singh Ji, such as swords, arrows, and books. While going towards airport we saw historic Gandhi Maidan. I had heard many stories of the historic gatherings at Gandhi Maidan. Famous movements such as those by Mahatma Gandhi, Sardar Patel, Jawaharlal Nehru and later by Jai Prakash Narain were started here. Addressing a huge gathering here at Gandhi Maidan was considered to be a leadership test of a person which is true even in present times. It was known as Patna Maidan before Mahatma Gandhi addressed a huge rally here where Indians were allowed without any restriction for the first time. Before that, entry was allowed only to Europeans and loyal Indians. Next day we went to Gandhi Setu, one of the longest river bridges in India. 5.5 km long Gandhi Setu was inaugurated in 1982 and connects Hajipur in the north to Patna in the south. The width of Ganga river was in kilometres. Those of us who had seen Ganga river in hilly areas will be surprised on how much width it gained and speed it lost. This bridge was like an economic lifeline for Bihar. Today Patna is catching up fast and in past few years, it has built many essentials of a modern city. It is one of the fastest growing cities in India. New educational institutes like IIT and NIT have been set up in Patna. We all would like to see Patna gaining its ancient glory once again.